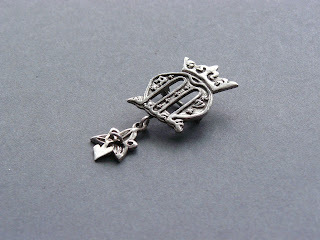 Maria brooch in silver is ready-to-wear. I must admit that it turned out very nice. 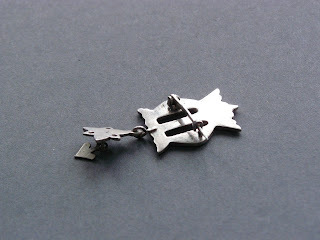 Unfotrunately I can't show on the photo how those small attached pendants move while wearing . 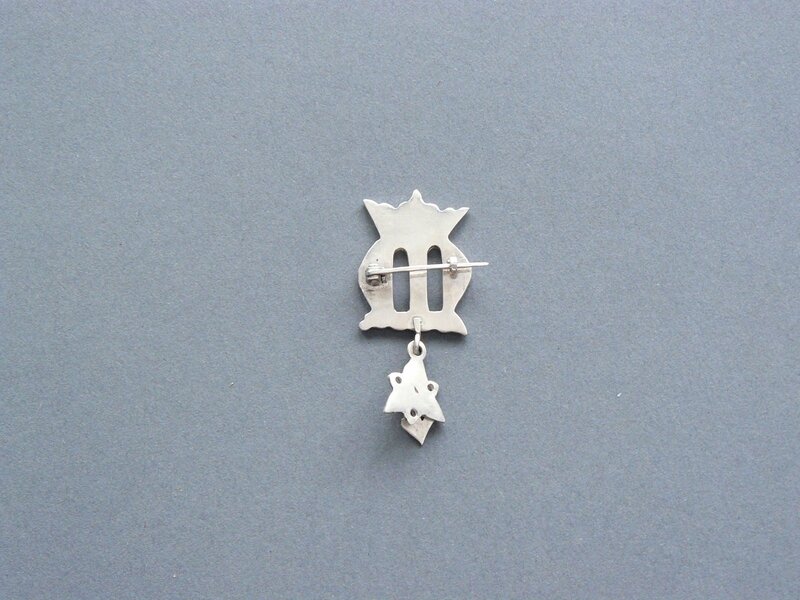 But it makes the brooch hard not to spot. Curious how it will catch an eye when it will be gold plated! The brooch pin is more like the modern ones - much easier to put on then disk brooch types. For pricing write an email to the address on a contact page. I looked for some New Year gifts for you this time.The custom of giving such gifts has a long tradition and it was common during the Late Middle Ages among the higher class. In France such presents were known as étrenneus. They where given to lords, family, friends and even to household staff. 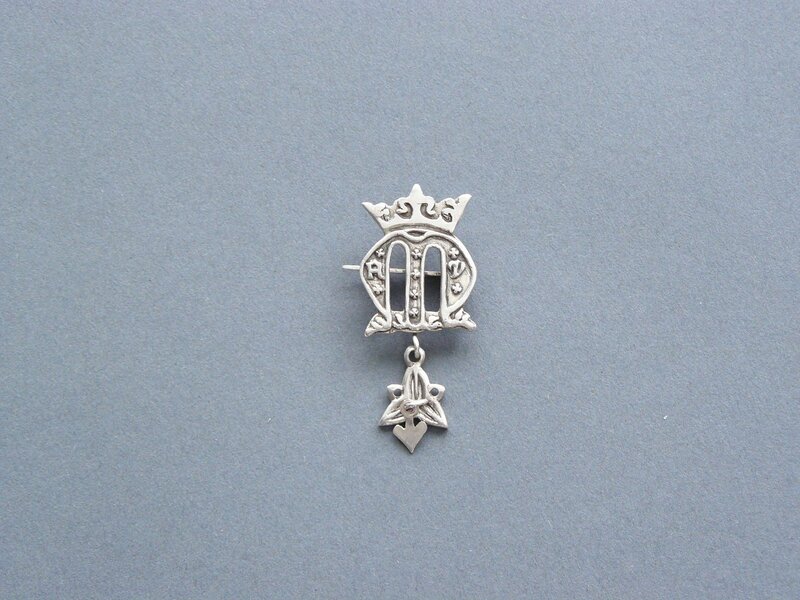 Often those gifts were jewellery as rings, brooches, pendants, or specially made badges ( also made of silver ). 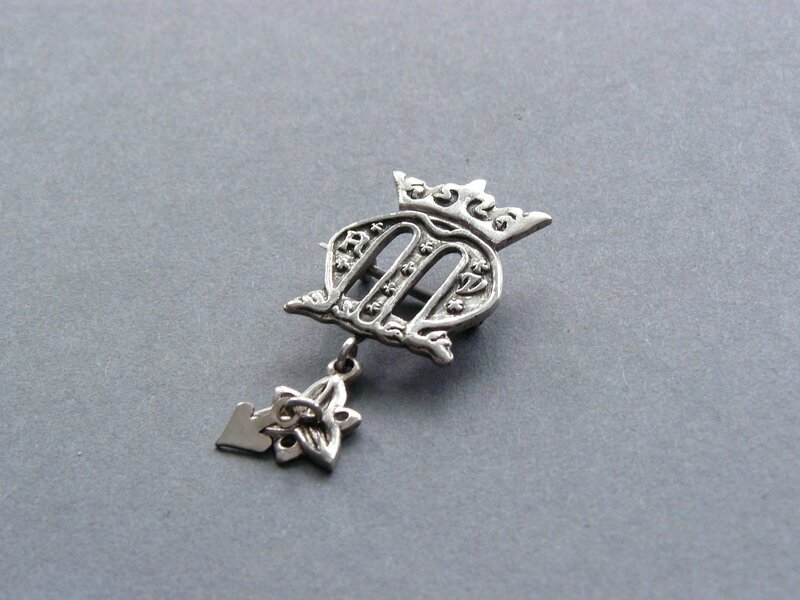 Jewels are costy and such expense are known through account books, bills and other written sources telling us a lot aboute this medieval custom. 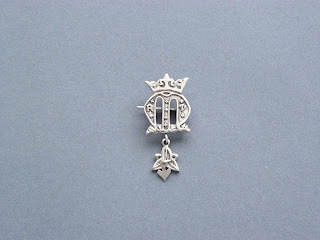 In 1384 the royal goldsmith Jehan du Vivier was paid to make a hundred and six small silver-gilt badges and they were supposed to be given to the knights and squires of Charles IV as a New Year's Day gift. In 1448 King Rene of Anjou gave hundred and eight badges of fine silver to the lesser members of his household and twelve gold ones to his knights. 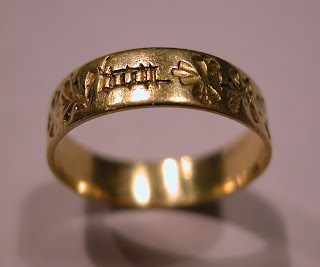 with engraved EN BON AN inscription and floral motive, 15th cent. 'for divers silver-gilt hannaps and divers gold beads [paternosters] and gold brooches and rings and phials and other jewels bought from them for us and given away on New Year's Day at Eltham last year'. "a fine large square diamond for her brother-in-law the King, followed by rings set with a sapphire or other precious stones or pearls for such humble but important persons as nurses to Princess Isabelle and Princess Jeanne, the Kings daugthers, or the Queen's femme de chambre, washer-woman and workman." 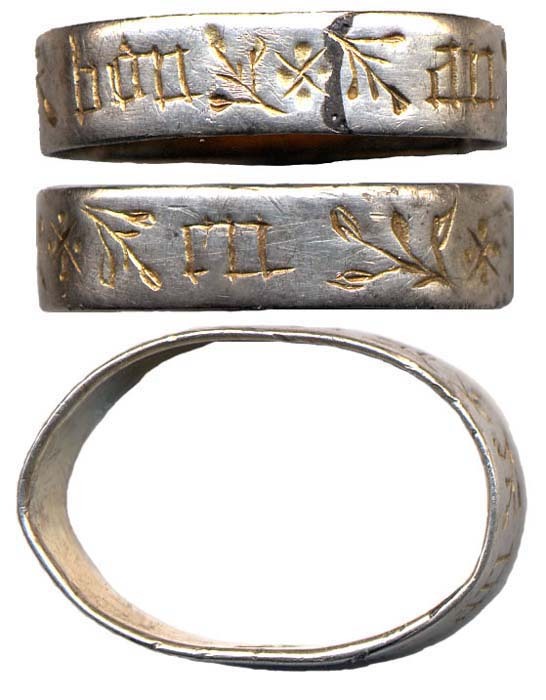 with a figure of John the Evangelist on the top and the engraved words EN BON AN on a twisted band, 15th cent. This French inscription, wishing a good year, appears on a large number of medieval rings which are considered to have been New Year's gifts."